Product #21850 | SKU NLT4MX-BAG | 0.0 (no ratings yet) Thanks for your rating! 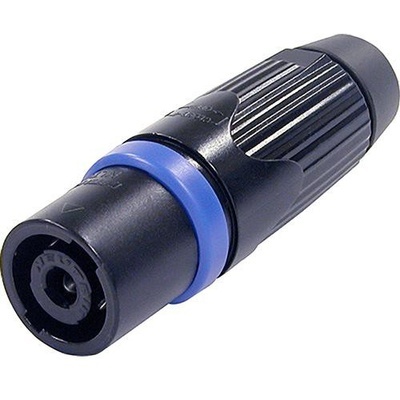 The 4 Pole Male Cable Connector is manufactured with a black-chrome metal housing and chuck type strain relief. The STX Series is another generation of 4 pole speakON connectors designed specifically for amplifier-loudspeaker applications in harsh and demanding environments such as professional touring. The extremely rugged and durable STX Series features an all metal housing and a built-in gasket providing weatherproof protection to IP54. The 4 pole version is available as 4 gender system including male cable and female chassis connector.